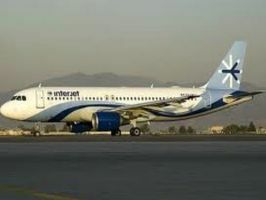 According to several sources- Tuxtla Gutierrez, Chiapas (21/JUL/2011) .- The airline Interjet held its first commercial flight on biofuel in a round trip to Tuxtla Gutierrez Mexico. It plans to usethis type of operation efficiency. The CEO of the company, José Luis González Garza was assumed that the next flight will be to the Mexico-Veracruz, dated to be defined. He recalled that the biofuel is five to six times more expensive than conventional jet fuel, but anticipated that prices tend to fall once these alternative fuels adoption increases, even in sectors such as automotive. He explained that the production of biofuels is still very limited and, therefore, quite expensive, 'so in economic terms is not profitable, nor the public could pay that premium. " However, he stressed that in some European countries have announced Lufthansa and KLM flights to be 'green', that is biofuels, many people opt to pay a premium for such flights, "because they know that contribute to the environment Through this surcharge. " For its part, the director general of Airports and Auxiliary Services (ASA), Gilberto Lopez Meyer, revealed that already works with Aeromexico to that airline in a few days make bio-fuels commercial flights. 'They (Aeromexico) corresponds to tell when they're ready, we have a stock of fuel will allow to make a lot of flights. We have a number of 100 thousand liters to be used. To get on the plane, if we say that if it is authorized by the FAA, I'm ready to make the fuel. Not just for Aeromexico, who wants it. " He said ASA is working with sources of potential suppliers of Jatropha oil, mainly from Chiapas, but also occurs in Puebla, Veracruz, Yucatan and Michoacan. He explained that ASA does not subsidize the cost of biofuels, nor the passengers are paying a more expensive ticket. "The airline is paying the cost of fuel, and obviously there is a process of research in this area where the federal government has outlays on the development of this'.